The Epic Swim is an annual open water event run by Swimming New Zealand at Lake Taupo, New Zealand. 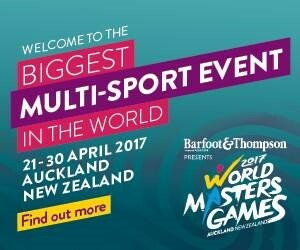 Swimming was among the 28 sports at the 2017 World Masters Games with both pool and open water events as well as Para-Swimming. The New Zealand Ocean Swim Series has grown over the years to the current portfolio of seven equally outstanding events, showcasing some of our most unique and stunning beaches and waterfronts.